The cost of most mainstream buy-to-let mortgages has increased following November 2017’s interest rate rise, according to figures from Mortgage Brain. A 2-year buy-to-let tracker mortgage with a 60% and 70% loan-to-value (LTV) ratio is now 3% higher in cost than it was in November 2017. This represents an annual increase of £216 on a £150,000 mortgage. The cost of 2-year fixed buy-to-let borrowing has also risen over the same time, by 2% for an 80% LTV and by 1% for 60% and 70% LTV. Despite rising costs, more products were introduced to the buy-to-let sector over the past year. A total of 721 new products were introduced to the buy-to-let market during 2017 – an increase of 32% in overall product availability. 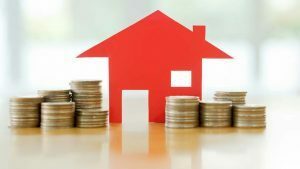 It looks like the Prudential Regulation Authority changes, coupled with what could be seen as the start of a number of interest rate rises, are starting to affect the cost of mainstream buy-to-let mortgages. Buy-to-let product numbers are at a new high, however, and there are still pockets of cost reductions and savings to be had for potential landlords and property investors. Get in touch to discuss your property costs.